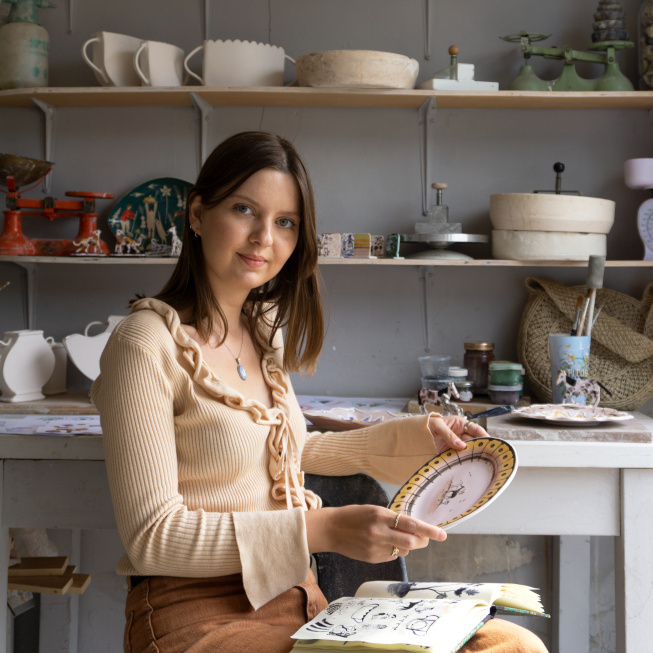 Red Canaries Plate is a one-of-a-kind piece by illustrator and ceramicist Polly Fern. This item is intended for decorative purposes only. Red Canaries Plate by Polly Fern is a decorative piece with a slip trailed border, inspired by a love of canaries (during her childhood, Polly's family kept an aviary). Once fired, the piece was decorated with oxides and underglazes, and finished with sgraffito details drawn in to the glaze.